MOVE - A player chooses a stone and slides it along an orthogonal line by a number of empty cells (just like the chess rook movement). CAPTURE - A stone or set of stones are captured if they are trapped between two enemy stones along a straight row or column (i.e., custodian capture). Any captured stone is removed and replaced by stones of the other color. A stone may move between two opponent stones on a straight line without being captured. Stones on the corner cannot be captured. GOAL - A player wins when he stalemates the opponent. Ming Mang is played on Tibet. There is some questions about the term, Ming Mang can also means board games in general, or even another variant of Go, Tibet Go. If you have more info about this, please contact me. 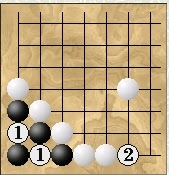 If it's White's turn, he can capture two black stones by sliding to cell . However, if it's Black's turn, he may safely slide to cell , avoiding the dangerous White move. 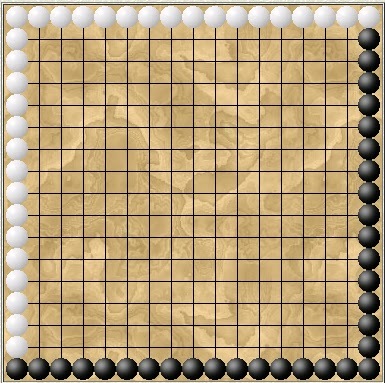 Ming Mang is easily scaled to any square board. A faster game can be played with an Othello 8x8 board and material. 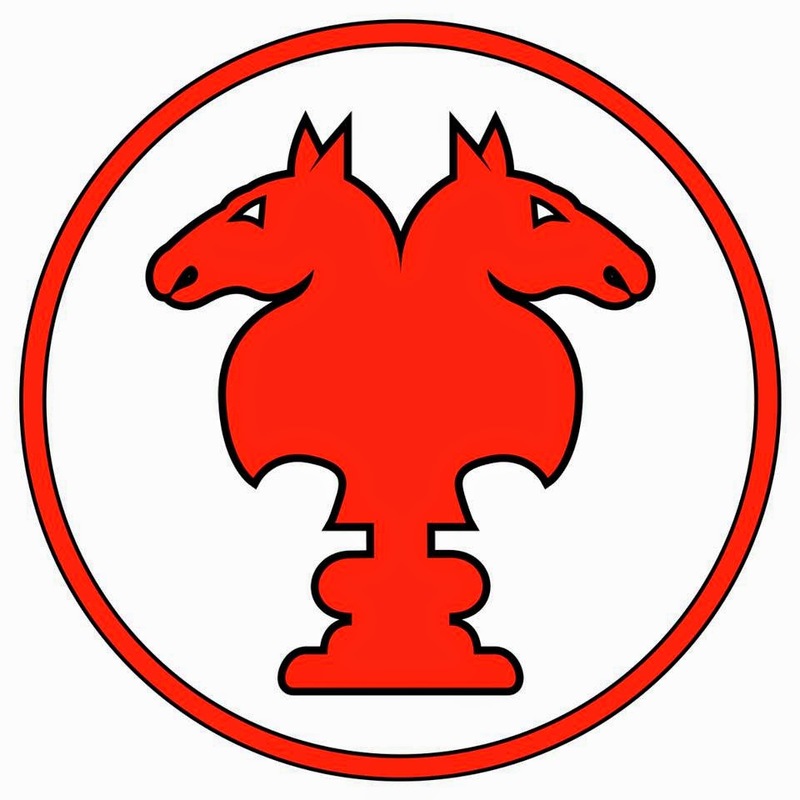 Check a modern variant of this game, made by Schmittberger. He notices a flaw on this game rules, since it's easy to create impregnable little structures where a player cannot be stalemated, check the next example! Avoiding stalemates, and avoiding it! The black structure is impregnable, the corner stone just slides along both cells  and White cannot do a thing about it! One way to solve this, is to include a push rule, like inAbalone. 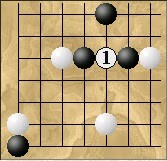 If so, White would move stone f4 to cell  and then push left to eliminate the structure.